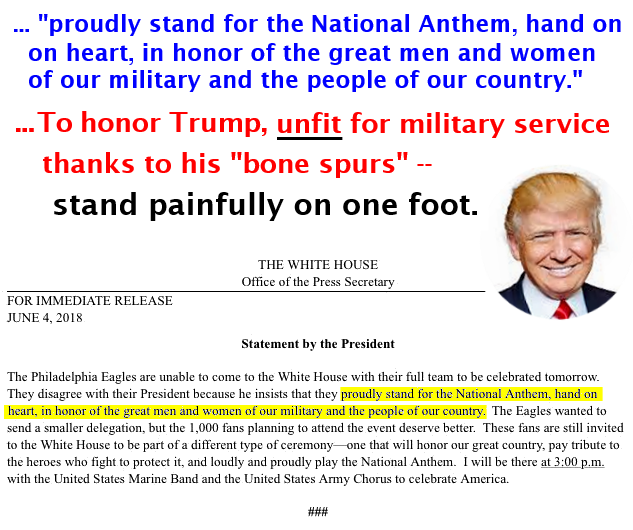 Yesterday, the Super Bowl Champion Philadelphia Eagles were disinvited the day before visiting the White House by US President Donald J. Trump. He released a statement claiming disagreement over the National Anthem. There are many ways to protest national indifference.